Good times and Trout Spey go hand-in-hand if you’re a two-handed addict like myself. The Muskegon River is falling nicely and soon will be back to near normal flows for May. Streamer fishing and trout Spey are both optimal with the river banks full of chinook salmon fry. Black Quills were dancing for a bit over the river as they drifted from their home in a small tributary. Trout season is here. 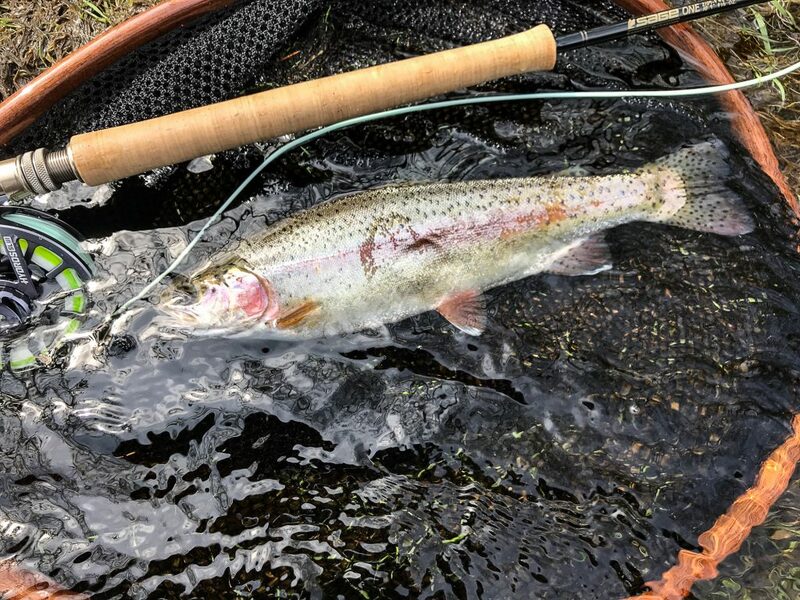 Prime Muskegon River Spring Steelhead Fishing Season has been in full swing in Michigan and we’re gearing up for a fantastic Spring Rainbow Trout Season and Spring Brown Trout Season! If you are looking to get out swinging flies on the Muskegon River this Spring with an Orvis endorsed guide who can help you find Spring Rainbow Trout, Spring Brown Trout or Spring Steelhead, we invite you to give us a call at (616)293-0501 to hear our open dates or visit our Contact Page for more information. While spots will fill quickly, some of the best weeks have availability today although they won’t last long! 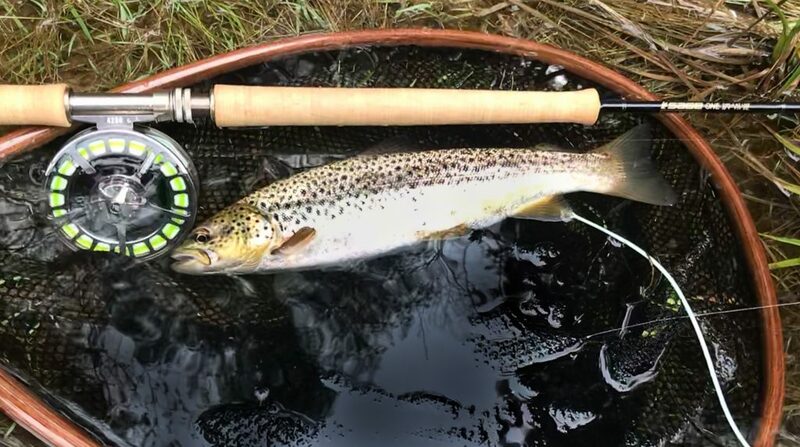 For more information on booking your next Spring Steelhead, Rainbow Trout or Brown Trout Fly Fishing trip on the Muskegon River, give us a call us at 616.293.0501. Or email us at info@muskegonriverlodge.com or fishon@riverquestcharters.com to find out which dates are still available! Be sure to visit our website Muskegon River Lodge for more information on our beautifully secluded, 12.5 acre wooded property with 400 feet of prime Muskegon River footage and incredible water views for our guests to enjoy. Whether you’re a party of two or a group of eight, the Muskegon River Lodge is reserved exclusively for you and your guests. Slip into the hot tub, settle into the sauna, kick back in the lounge, or scan the river for rises from the deck overlooking the river. Walk to the river’s edge and board large, comfortable, jet boats expressly designed for fly fishing and piloted by RiverQuest Charters fly fishing guides, Visit RiverQuest Charters to find out more about our fly fishing charter services and our upcoming fly fishing seasons. And Follow Us on Facebook, Instagram or Twitter to see our most recent catches of Steelhead and Trout.